Marvel’s generally successful run of live-action superhero movies culminated in The Avengers last year that netted them a whole boatload of cash. While DC’s Dark Knight Trilogy has more or less become the standard of comic book movies these days, the complicated reception and obstacles regarding Superman Returns made it difficult for DC to create a shared universe where they could create the Justice League. Since you can’t have the Justice League without Superman, and Nolan envisioned the Dark Knight trilogy to be in a world with no other heroes, it was hard to envision such a team-up film being made. With Man of Steel, however, Superman is back. It didn’t make critics bow down and worship it, but it was a box office hit and Snyder consciously opened the door for other heroes to enter that universe. However, they’re missing most of the other heroes, including Batman, so they need to find a way to introduce at least some of them to a movie audience. There is one hero they DO have already available, and that is Green Lantern, a hero they introduced in 2011. Too bad that movie didn’t do nearly as well as they hoped. I watched the movie two years ago… but I realized I barely remembered anything about it, so I decided to watch it again to see if it truly was that forgettable and as bad as the critics said it was. In a nutshell: There’s nothing egregiously horrible about the movie and it has a handful of neat action sequences, but it’s mostly pretty dull. In its defense, I’ve always felt like Green Lantern would be difficult to translate into live-action convincingly because the whole concept of the hero seems so goofy. I was never that enamored with the idea of Green Lantern (ring that can do allegedly “anything” that is powered by “will?” Really? ), but the movie definitely missed a good opportunity to make something interesting. I admit that my last post was pretty scathingly satirical. For those who didn’t read it or maybe misunderstood that I was being serious (though I don’t see how), I basically ridiculed the phenomenon of women in our culture, some of them gung-ho for feminism or some of them Christians, dancing and rapping joyously to songs that demean and objectify them. If they’re ok with that, I sarcastically reasoned, then surely they are okay with being told to stay in the kitchen, make sandwiches, and wash the dishes as long as it is packaged with a catchy beat or tune. Obviously, most women in our culture would bristle at such lyrics if someone wrote them, but the pertinent question would then be: Why are you okay with rappers or other artists describing you as merely an object for sexual pleasure? I’ve actually asked several girls this and nobody has given me much of an answer, either looking sheepish or annoyed that I brought it up. I understand that most people do not think that hard about the lyrics of the songs they listen to, and many of them don’t even know what the lyrics are. They like the beat and they enjoy dancing or bobbing their heads to it, and that’s it. In fact, during one Sunday School lesson, I handed out lyrics from some popular pop or rap songs and had the students parse them (I edited the lyrics if they were too bad), and while it was a fun exercise, it also showed how most people simply do not think about doing that to songs. I would argue that that’s not a wise approach to engaging music. Studies on music have shown that music has a unique effect on our minds, triggering certain emotions, thoughts, and memories. This is why, sometimes, we can’t think of lyrics to a song, but when the song comes on, we instantly remember the lyrics and can sing along. You may not be consciously thinking of the lyrics, but they’re embedding themselves in your brain. Whenever the media or feminists catch wind of conservative pastors teaching about gender roles, the importance of mothering children, or any sort of “submission,” they blow a fuse and slam Christians for being backwater, women-haters that hold to outdated and sexist traditions. Heck, even when conservative Christians voice their disagreement over abortion, they are tagged as people who are against women’s rights and want to imprison women in the home, languishing under the heel of a patriarchal society. These teachings allegedly demean women and should be fought against. This leaves me in kind of a bind; I mean, I want to teach way more than that. I want to teach that women should shut up unless spoken to (especially during sports games), do laundry and wash dishes with a smile, cook and serve dinner everyday, play Street Fighter with me so that I can practice combos on them, etc. I believe these things are true and profitable (for men, anyway, which is the only important consideration), but I don’t want some feminist or local news station hearing of this and causing a ruckus because I’d rather spend my time bossing around women than hearing them complain. How can I avoid getting griped at? Then I found my savior: Music. Mostly rap music, but other music as well. An African-American boy was walking home from a convenient store with Skittles, wearing a hoodie in a gated community. An overzealous, white volunteer watchman, who was a wannabe cop and has a criminal history, thought he was up to no good and decided to follow him. The white man tagged the boy as “black” to the police dispatcher he called and eventually got out of his car to follow the boy against the dispatcher’s advice, and he was also heard muttering how he’s sick of hoodlums and thugs getting away. A fight eventually ensued, and the white man pulled out his concealed weapon and shot the teenager, who died. The police investigation may have screwed up some evidence gathering, and after questioning, they decide to let the white man just go home. Makes you mad, right? 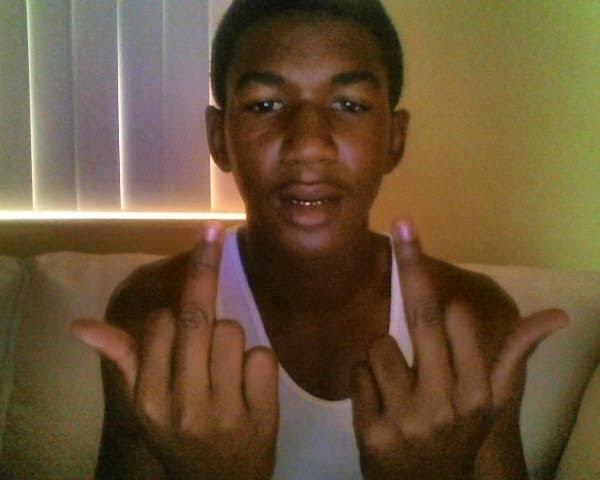 How can this country allow such blatant racial injustice against this kid who had no criminal history of his own? Obviously, this shows that Florida’s laws are backward and that racism continues to plague our justice system and our police forces. Does that make you as angry? Probably not. It might even make you feel like the watchman was completely justified in what he did; I mean, it’s his job to watch out for the neighborhood, and he has very right to defend himself. And since he’s half-Hispanic, there is less racial tension at first glance, especially since he was merely answering the 9-1-1 operator’s question about the young man’s race. The state of Texas, like many states, requires that all high schoolers pass a standardized test in order to graduate. For my generation, that was the TAAS test. My class was the last class required to take the TAAS test as sophomores, as the new test, the so-called TAKS test, would be issued to the next class when they were juniors instead. In an odd move, the school district tried to force our class to take the TAKS exam the next year anyway as a test run, even though we had already taken the TAAS, so my class decided to rebel and simply not show up. About ninety-percent of our class didn’t go to school in the morning for the test, and almost all of those students actually came at 11 a.m. to continue normal school. Our principal was not pleased, but we even made national news with such a stunt ;). For many people, the description of God as “jealous” in the Bible makes them uncomfortable or even flat-out contemptuous. Isn’t jealousy bad? Isn’t that a mark of insecurity, so why would God, supposedly perfectly good, ever be jealous? Why would he show his fierce anger and punish Israel if he’s so “loving?” That doesn’t sound like the gracious God of the Gospel. The problem with this line of thinking is this: If God’s love is so great and if he is so holy and good, we should expect that his jealousy and anger are aroused when his people sin and turn away. One of the most common metaphors for God’s relationship with Israel or Christ’s relationship with the Church is that between a bride and a groom, and if there is true love flowing from the groom, of course he’s going to be hurt, angry, and jealous when his wife basically cheats on him. 23 The word of the Lord came to me: 2 “Son of man, there were two women, the daughters of one mother. 3 They played the whore in Egypt; they played the whore in their youth; there their breasts were pressed and their virgin bosoms handled. 4 Oholah was the name of the elder and Oholibah the name of her sister. They became mine, and they bore sons and daughters. As for their names, Oholah is Samaria, and Oholibah is Jerusalem. Man of Steel: If there was one movie was I really looking forward to watching this summer, it was Man of Steel. Though I have been critical of how people write Superman shows/movies in the past, simply because they fail to write for him in a coherent manner, I’ve always liked the character a lot. He’s freaking Superman, after all. I was excited to finally see it, and though it was not perfect, I thought it was a pretty decent attempt to capture the mythology of Superman. I know some reviews were mixed, but I actually liked the movie. WARNING: DO NOT READ FURTHER IF YOU DO NOT WANT SPOILERS.